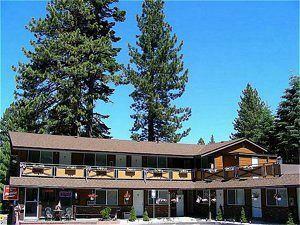 Features: The Paradice Motel Tahoe is situated in the heart of South Lake Tahoe near many top Tahoe attractions. 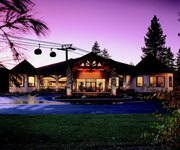 As a premier boutique hotel, the Paradice Motel South Lake Tahoe is one of the highest rated places to stay in the area. 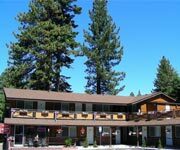 Why We Stay: The Paradice Motel Tahoe offers great amenities like wireless Internet and complimentary breakfast every morning. 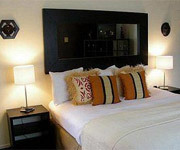 The fun boutique decor of the Paradice Motel South Lake Tahoe gives it a unique atmosphere you won't find at competing South Lake Tahoe hotels. 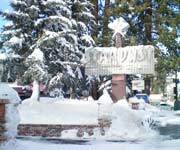 Location: The Paradice Motel in Lake Tahoe has a very unique central location in South Lake Tahoe putting it just three blocks away from the casinos of Stateline, Nevada and the Heavenly Gondola. 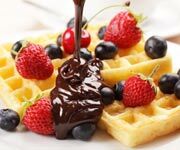 Complimentary Breakfast: Enjoy a delicious complimentary breakfast every morning of your stay at the Paradice Motel Lake Tahoe Hotel. 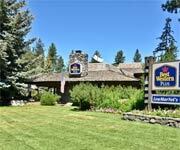 Private Beach: During the summer the Paradice Motel in Lake Tahoe provides free passes for guests to enjoy a nearby private beach on the shores of Lake Tahoe. 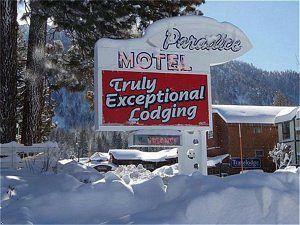 Inside Knowledge: The Paradice Motel Tahoe was the winner of the 2011 Travelers' Choice Award on TripAdvisor. 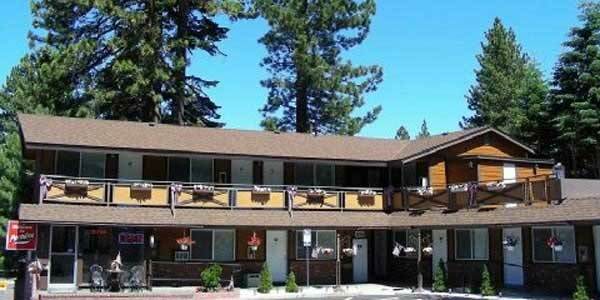 Do Bring Your Kids: The Paradice Motel Tahoe offers family friendly accommodations and is a great little place to spend quality time. 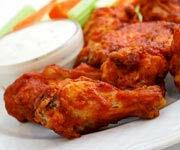 Do Ski Heavenly: With the Heavenly Gondola just three blocks away from the Paradice Motel South Lake Tahoe, you can't miss out on the phenomenal skiing at the Heavenly Ski Resort. 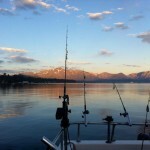 Don't Miss Breakfast: The Paradice Motel Tahoe provides a delicious complimentary breakfast every morning for you to fuel your jets before each new Tahoe adventure. Don't Smoke: Unfortunately, the Paradice Motel South Lake Tahoe does not offer smoke friendly accommodations, so if you must smoke, please take it outside. 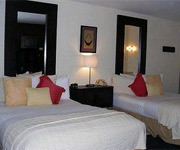 The deluxe rooms at the Paradice Motel come with the choice of one queen bed or one king bed, and they include a bathroom with a hair dryer. 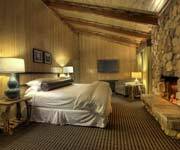 Enjoy wireless Internet and cable television service during your stay as well as a coffee maker, alarm clock and free local calls. 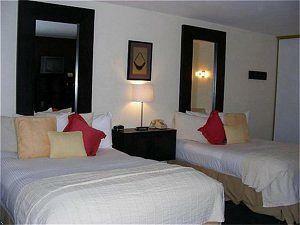 The semi-suite at the Paradice Motel comes with two queen beds and cable television service. 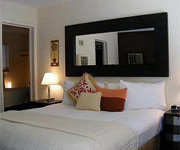 There is a private bathroom with a hair dryer, air conditioning and separate closets. 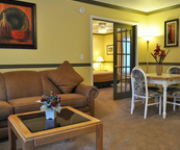 Other amenities include free wireless Internet, coffee maker, alarm clock and a phone with free local calls. 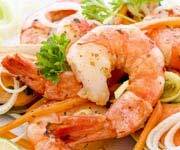 The largest accommodation at the Paradice Motel is the two bedroom suite, which has a queen bed in one room and a double bed in the other as well as a private bathroom. 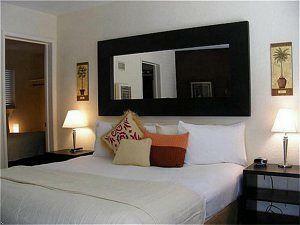 Enjoy amenities such as cable television, microwave, fridge and wireless Internet. 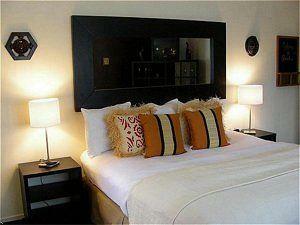 The suite also comes with a coffee maker, hair dryer, phone with free local calling and an alarm clock.